Civil War Trust National Teacher Institute at Fort Sumter (SC) July 14, 2012 | Flickr - Photo Sharing! Fort Sumter is a 'Third System' masonry coastal fortification located in Charleston Harbor (SC). 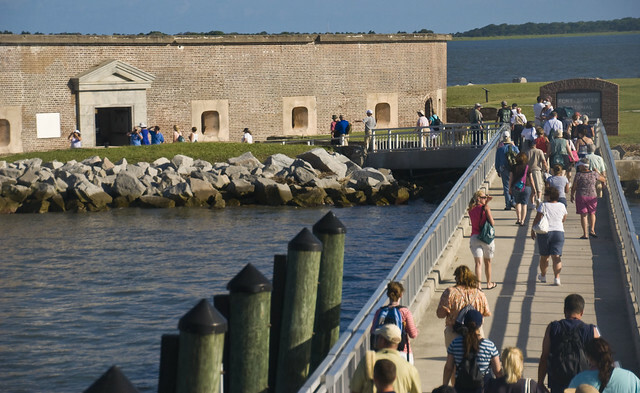 The fort is best known as the site upon which the shots initiating the American Civil War were fired, at the Battle of Fort Sumter, on April 12-14, 1861. The site was listed on the National Register of Historic Places in 1966.